with the best views imaginable. This 2,200 sq ft home is built for epic entertaining and a comfortable Caribbean lifestyle. 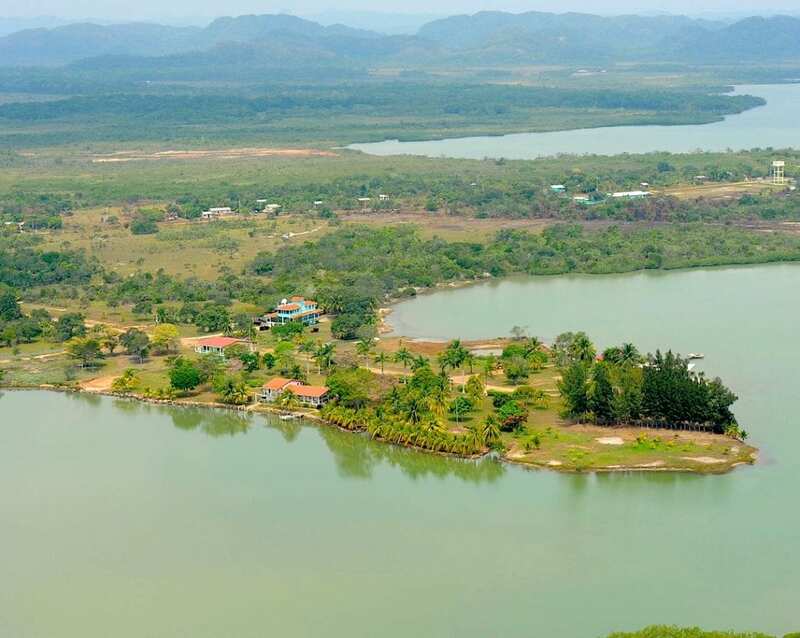 It is in coastal Belize, on the spectacular Southern Lagoon, a wildlife sanctuary and prime sport fishing location. It is made of reinforced concrete, tile and hardwood, with a new steel-tile roof. It has two bedrooms, each with ensuite baths and outdoor verandas; a great wide-open kitchen with Jenn-Air cooktop; spacious living and dining rooms; plus wide, covered verandas all around. It has a garage with workshop and laundry room. 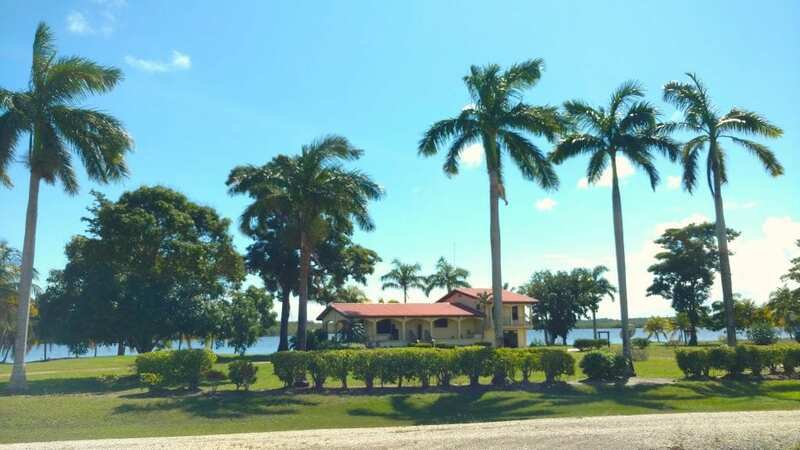 This estate is 2 of 5 homes on a gated, private peninsula within Belize’s pristine Southern Lagoon. The Caribbean Sea is a short boat ride from the house’s dock, and 1 mile away as the parrot flies. The second home is also two bedrooms, one bathroom, with spacious kitchen, living, dining and bedrooms upstairs, and a double garage, laundry, and large workshop on the ground floor. Both homes are waterfront, with excellent views of the seaside lagoons north and south, and mountain views to the west. These homes are on Belize’s electrical power grid. While they provides ample water from their filtered rainwater harvest systems, treated village water from nearby Gales Point Village is also available on this peninsula and can be accessed. This area is within 3G cellular service. Some of the best sport fishing on earth is just off the dock, while Belize’s MesoAmerican Barrier Reef begins 9 miles offshore for what National Geographic Magazine calls “the best snorkeling in the world”. The additional acreage continues from this private peninsula on both sides of the entry road, having approximately 1,000 ft waterfront on both the Southern Lagoon and Tooths Lagoon. A village police station is at the end of the private entry road. The acres around the homes are landscaped and well maintained. Most of the additional acres have been planted in Mahogany trees. We will post more photos of this estate, its houses and grounds and provide more photos and details upon request. This is a clear-title property, capable of title insurance. In Belize, foreigners can own freehold title to property. Contact us for more details and an appointment to view the property.